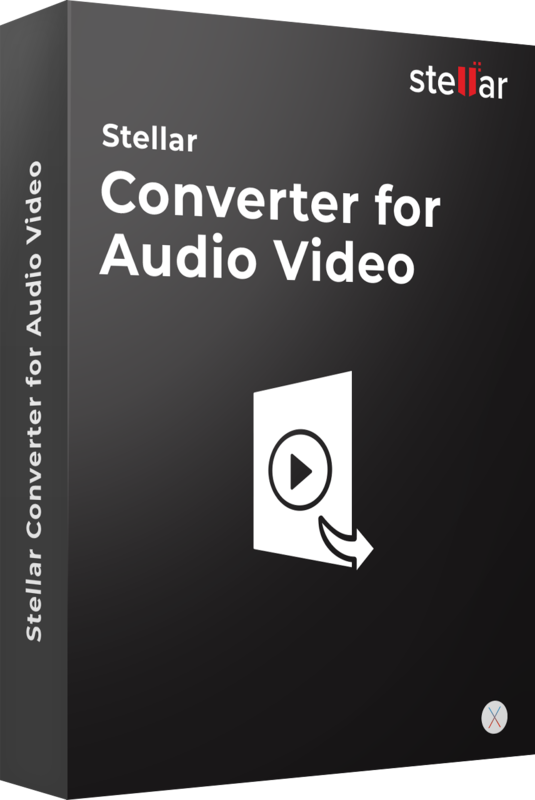 Stellar Converter for Audio Video software is a quick & easy solution to fix any compatibility issue while watching videos or playing music files. It supports MP4, MPEG, AVI, MOV, M4V, MKV, VOB, 3GP, 3G2, ASF, 50+ file formats & 20+ devices. Converted media files are compatible with PCs Android, Apple, Windows Phone, TVs etc. This free video converter software allows converting a video file from one format to another supported by almost all media players and devices. The converted video files can be played on PCs, Laptops, TVs, Apple devices, Android phones, & Windows phones. The software supports almost all popular video file formats; such as MPG, MP4, MKV, FLV, AVI, 3GP, and WMV. This video converter tool also allows converting video to HD video for high quality. This video converter software provides an option to customize, enhance and transform your videos by modifying the brightness, contrast and saturation of the output files as per your choice. You need to select the effect that you want to apply into your video file, see the preview of added effects and save the converted video file. Additionally, you can combine multiple effects on your video to make it more attractive and sharp as you want. The software allows converting multiple video files simultaneously. You need to drag and drop the files directly to add single or multiple files in one go. Once you have added all the desired video files successfully, you can see the preview of selected files and convert them all into the desired file format in a single go. Additionally, you can remove any of file chosen from the list by just clicking on the cross. Using this advanced video to audio converter software, you can safely and quickly convert a video file into an audio file format. This effective option is best suited for situations that require you to play video files in a media player that supports only audio/MP3 file formats. The software converts MP4 to MP3, MPG to MP3, FLV to MP3, FLV to MP3 and the like and plays them on a range of audio players without any compatibility problem. This video converter software offers an advanced option to convert an audio file from one file format to another. It allows to convert an audio file into a specific audio file formats so that converted audio file can be readily played on a range of audio players and portable devices like smartphones, iPods and iPads etc. The software supports all popular media file formats, such as MP3, WAV, WMA, FLAC, OGG, AAC, and MP4. This video file converter software enables to clip the source video by removing unwanted portions from it. You can trim video file from the starting or ending point and keep only the required section. Choose Start point from where you want the video to be started and the End point where the clip will be stopped. Software doesn’t remove the unwanted segment; it hides it from playing. You can filter the effects to manipulate your video in various ways. These types of filter effects will be applied to the entire video clip. This tool is capable of modifying the complete appearance of the source element by applying special effects to create unique transformations on your source file using distortions and lighting effects. If you want to add watermark to videos for authenticity, then this tool gives you the best option to do it. You can personalize the video by embedding desired text on it. Just select text watermark accordingly, and the software will help you quickly finish the job. The Adjust module of this video converter software avail multiple options to customize video settings. You can crop, rotate and flip the video file easily. The Software allows to adjust the rotation of your videos in clockwise or counter-clockwise direction and also flip the video in horizontal and vertical directions. 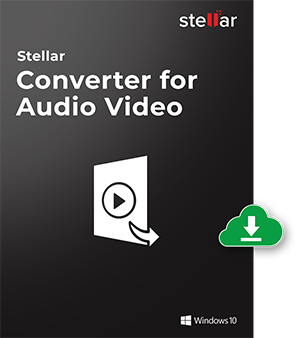 Stellar Converter for Audio Video File allows selecting media file for conversion using select button or drag and drop option. You just need to choose the desired format to initiate media conversion process. You can see the preview of converted media files before saving to the desired location. The demo version of software allows you to save initial 60 seconds of video or audio file. To convert complete file, you need to register the full version of software. However, you can edit your video file(s) in demo version of the software. How to set the same frame size for the output video as that of my input video? When you select a file for conversion in the main interface and click 'Convert', the Output Folder dialog box is displayed. After specifying the output folder and format in this dialog, click the 'Advanced Settings' button. You will see the Advanced Settings dialog box. In this dialog box, you can specify the desired frame change rate by selecting a value from the 'Fps' drop-down menu. What are the video file formats supported by the software? What are the audio file formats supported by the software? Can I watch the converted video file on my TV? Can I use this video converter software on Mac computer? Yes, Stellar Converter for Audio Video File is compatible with both Windows OS and Mac OS X. You need to download the EXE file for PC and DMG for Mac to install the software. What is meant by ripping? Ripping is usually done to extract audio tracks from a copy-protected optical disc. Generally, audio CDs with copy control technology cannot be used for copying files to other portable devices. This can be easily accomplished by ripping the CD. Does software make any modification in original Video after editing? No, software doesn’t make any single modification in the original video file. It saves the converted video file to the location selected by the user. Original audio/ video file is kept as it is.